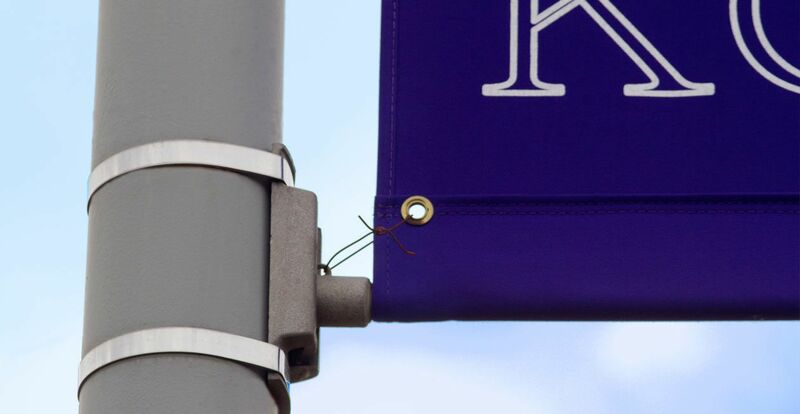 For the last year we have helped cities and towns decide what light pole banner they preferred by mocking up after votes with the banners that they can compare to their current setup. One of the cities we helped gave us several pictures of a major intersection where they wanted to hang flying banners to invite visitors and showcase their pride for their city. They weren’t sure if the large banners would look okay because they would be hung adjacent to their main road. 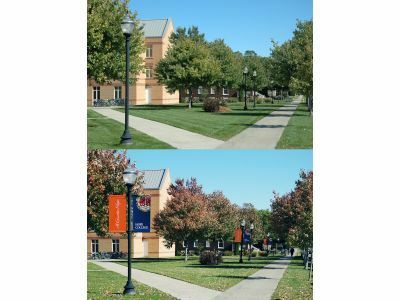 We passed the photos along to a sales rep and industrial designer and asked them to create “virtual installations.” These Photoshopped virtual installations showed the city exactly how the banners would look if installed in various lighting and from various perspectives. The customer was so impressed and thankful. They ordered the banners and BannerFlex hardware to install the banners on their city’s light poles. At BannerFlex, we know how important it is to go the extra mile for our customers. It’s important that we have not only the best light pole banners and banner bracket hardware on the market, but also the best added services, as well. If you have been hesitant about putting up light pole banners in your city, do not hesitate to contact us today to see just how they’ll look!